Our guide to Commercial Flooring offers detailed descriptions of companies such as PermaGrain Products, Inc. and Discount Floor Mat Store. Milling and direct sales of Eastern White Pine plank flooring in wide and random widths. Shipping available. Also, Eastern White Pine beams for timber framing. From Cleveland, here's a retailer selling commercial and industrial floor mats, stair treads and wall protection products ... all perfect for an industrial-look residential project. 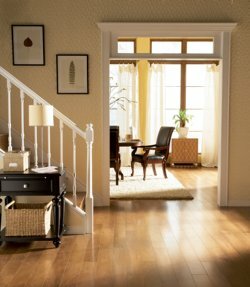 Based in Pine Plains, NY, this retailer offers hardwood flooring, both new and antique. It's been online since 1995. 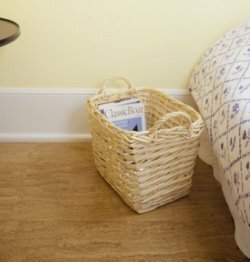 Wilsonart's "Stunning Elm" pattern offers an affordable alternative.